Proinco, established in 1993, specializes in graphic design, and since 1998 in website design and e-commerce solutions. Since 1999 we've provided online reservation systems for hotels in Vallarta. (Portfolio on the company website). Specializing in SEO (Search Engine Optimization), online marketing and promotion. This MexicoCancun.net Privacy Statement discloses the information privacy practices for Proinco Vacation's Website, www.MexicoCancun.net. The MexicoCancun.net Web site is intended for use by people that are over 18 years of age. MexicoCancun.net collects personally identifiable information ("PII") about you that you specifically and voluntarily provide. PII includes information that can identify you as a specific individual, such as your name, phone number, or e-mail address. Although you sometimes are required to register as a member of MexicoCancun.netin order to use selected travel planning tools, and some PII is needed in order to process and fulfill travel requests, many areas of MexicoCancun.net can be accessed without providing any PII. On all MexicoCancun.net pages that collect PII, we specifically describe what information is required in order to provide you with the product or service you have requested. MexicoCancun.net collects the full name, address, telephone numbers & e-mail for a traveler when a travel reservation is made. When someone other than yourself is accompanying you on travel purchased through MexicoCancun.net, we may collect PII and travel preferences about that individual. You should obtain the consent of other individuals prior to providing MexicoCancun.net with their full names, contact numbers, e-mail addresses, and travel preferences. MexicoCancun.net collects the billing address of the credit card that is used to purchase travel. We will also collect credit card information, including card number, card type, cardholder name, security code and expiration date, in order to bill you for travel purchased through MexicoCancun.net. MexicoCancun.net collects your PII, password, and e-mail address when you register in our personals section to become a member of our Web site. 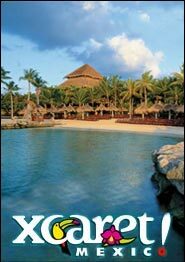 Occasionally, MexicoCancun.net may offer site visitors an opportunity to participate in a contest or sweepstakes. Information collected by MexicoCancun.netwhen you participate in a contest or sweepstakes may include your full name, e-mail address, and street address. MexicoCancun.netmay offer our members and site visitors an opportunity to participate in surveys regarding their experience with our site. For our members, we may also send these surveys via e-mail. You are under no obligation to respond to any survey, and you may unsubscribe from receiving these e-mail surveys by following the unsubscribe instructions in any e-mail survey you receive. Information collected by MexicoCancun.netwhen you participate in a survey may include your full name, e-mail address, and street address. MexicoCancun.netcollects PII such as your full name, e-mail address, and/or contact number whenever you submit a question or suggestion, or request assistance with viewing your itinerary, options and general questions regarding the destination or our site. MexicoCancun.net has partnered with reputable third parties to offer our site visitors a variety of products and services. 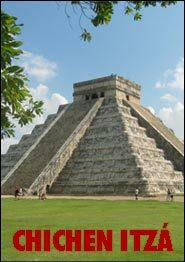 All travel services throughout MexicoCancun.net that are provided by a third-party partner are described as such. Although we only work with reputable third parties, our business partners may have different privacy policies and practices than MexicoCancun.net. We encourage you to review our business partners' privacy policies to further understand their procedures for collecting, using, and disclosing your information. Some information is collected automatically every time you visit MexicoCancun.net (e.g., cookies and computer information). In addition, information may be collected from other independent, third-party sources. MexicoCancun.net collects certain technical information from your computer each time you request a page during a visit to MexicoCancun.net (the so called site logs). This information is collected from your computer's Web browser to enhance your experience on our site and may include your IP address, operating system, Web browser software (e.g., Netscape Navigator or Internet Explorer), screen resolution, and referrer Web site. Information collected when you complete your traveler profile is used to confirm and process your travel reservation. In addition, information collected from you when you purchase travel is used to bill your credit card and deliver your travel itinerary, either electronically, personally or through the mail. In the event your travel plans are disrupted because of mechanical, weather, or carrier business conditions, MexicoCancun.net may send you an e-mail notification to inform you of these conditions and help you make alternative travel arrangements. As a registered MexicoCancun.net member, you may receive e-mails from us about special promotions, surveys, contests, sweepstakes, flight specials, trip information, or other travel opportunities on MexicoCancun.net and its marketing partners. We may also use your e-mail address or telephone number to contact you about changes to your purchased travel itinerary. You may also receive postal mail notifications from us about special promotions, surveys, contests, sweepstakes, flight specials, trip information, or other travel opportunities on MexicoCancun.net and its marketing partners. E-mail or postal marketing notifications containing offers for our marketing partners will be sent by MexicoCancun.net on our partners' behalf. Considering the rampant excesses of spammers, MexicoCancun.net will not send you excess e-mails and furthermore each e-mail will include a link that automatically erases you from further mailings should you wish to do so. We will use your e-mail address or telephone number to respond when you submit a question or suggestion, request travel assistance or have problems with any of the MexicoCancun.net services. We collect certain information (e.g., travel information) based on your navigation of our site in order to better understand and serve our customers. This data allows us to streamline your ability to navigate the site and develop featured programs and content that will be of interest to our members and site visitors. No PII is collected unless you explicitly provide it. This information can also be used to display targeted advertisements. Advertisement information is taken from data you explicitly provide on the MexicoCancun.net Web site, such as a flight origin or destination. No PII is used to deliver targeted advertisements. MexicoCancun.netdoes not sell or rent your PII to anyone. To provide and process the services you request, MexicoCancun.net shares your PII with our authorized service providers that perform certain services or functions on our behalf. We only share information about travel either reserved or purchased on MexicoCancun.net. Our service providers need information about your traveler profile. These service providers will disclose information about your traveler profile to hotel, airline, cruise, rental car, and other travel suppliers whose products you have purchased. Like any other travel agent, this information must be shared with our travel suppliers to confirm your reservation and travel preferences. Although MexicoCancun.net offers travel products from hotel, tours and activities, rental car, and other travel suppliers that are reputable companies, we have not placed limitations on these suppliers from using or disclosing your information without your permission. Therefore, we encourage you to review the information privacy practices of any travel suppliers whose products you purchase on MexicoCancun.net. In addition, these travel suppliers may also contact you as necessary to obtain additional information about your confirmed reservation. MexicoCancun.net will occasionally share aggregated information with our service providers. This information does not contain any PII and is used to develop featured programs and content that will be of interest to our members and site visitors. In the event that you make a new, or update an existing, travel reservation by calling our toll-free number, your information may be accessed by a third-party service provider, as necessary, to respond to your request for customer service. MexicoCancun.netmay be required by law to disclose information you have provided in obtaining our travel products or services. MexicoCancun.net may also disclose information against someone who poses a threat to MexicoCancun.net's interests (such as customer fraud) or whose activities could bring harm to others. In addition, it may be necessary for MexicoCancun.net to provide customer information to third parties, such as credit card companies, for the purpose of resolving disputes that arise in the normal course of business. There are several places throughout MexicoCancun.net that may link you to other Web sites that do not operate under MexicoCancun.net's information privacy practices. When you click through to these Web sites, MexicoCancun.net's information privacy practices no longer apply. We recommend that you examine the privacy statements for all third-party Web sites to understand their procedures for collecting, using, and disclosing your information. When you complete an Account Closure request or modify your account information (e.g., update your e-mail address), we will send you a confirmation e-mail. Each time you purchase travel through MexicoCancun.net, or change or cancel a confirmed travel reservation, you will receive confirmation of your travel itinerary via e-mail. In the event that your travel plans are disrupted because of mechanical, weather, or carrier business conditions, MexicoCancun.net may contact you to inform you of these disruptions and help you make alternative travel arrangements. As a registered MexicoCancun.net member, you will occasionally receive e-mails notifying you of special promotions or other travel news. Special promotional e-mails are intended to inform you of new or unique travel opportunities or special deals that are available on MexicoCancun.net. If you choose to receive our Fare Tracker service, we will use your e-mail address to notify you of current fares to cities you have selected. You can opt out of your subscription to MexicoCancun.net's announcement list services at any time by clicking on the provided link. In addition, you will occasionally receive postal mail notifying you of special promotions or other travel news. You can unsubscribe from this postal mail service by either sending an e-mail with "unsubscribe" in the subject line to [email protected] tthat includes your MexicoCancun.net e-mail address and street address or by following the instructions on the postal mail piece you receive. When you request assistance with viewing your itinerary, logging on to the MexicoCancun.net Web site, or accessing your account, we will respond to you via e-mail or telephone. To help us improve MexicoCancun.net and serve you better, from time to time we may e-mail surveys to you to learn more about your experience with our site. You are under no obligation to respond to these surveys, and you may unsubscribe from receiving them by following the unsubscribe instructions in any e-mail survey you receive. We want our members and site visitors to feel confident about using MexicoCancun.net to plan and purchase their travel, so we are committed to protecting the information we collect. MexicoCancun.net has implemented a security program to keep information that is stored in our systems protected from unauthorized access. 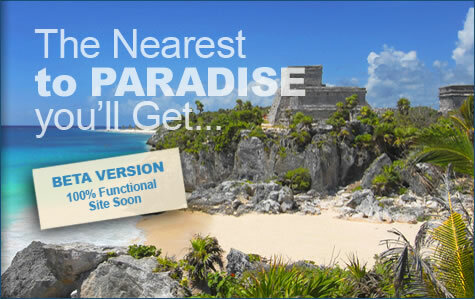 Currently, MexicoCancun.net only stores the information you provide when registering to become an MexicoCancun.net member, purchase travel, or use selected travel tools such as Personals and the E-postcards. Our systems are configured with data encryption, or scrambling, technologies, and industry-standard firewalls. When you send personal information to MexicoCancun.net over the Internet, your data is protected by Secure Socket Layer (SSL) technology to ensure safe transmission. MexicoCancun.nethas also obtained a digital certificate from Equifax Secure Certificate Authority, Inc., one of the top maker of hardware and software used to protect and manage computer network access. To view this site certificate on each secured page, click on the image of the closed lock or the solid key on the bottom bar of your browser window. A small frame displaying site security information will pop up. For Internet Explorer users: Click on the tab Details and then on the word "Subject" to verify that you are on the Web site MexicoCancun.net. Click on "Issuer" to verify the site certification authority. For Netscape Communicator users: Click on "View Certificate" to verify that you are on the Web site MexicoCancun.net and to verify the site certification authority. This Privacy Statement was produced and posted on MexicoCancun.net on December 13, 2003. MexicoCancun.net reserves the right to modify or amend this Privacy Statement at any time and for any reason. If there are material changes to this statement or in how MexicoCancun.net will use your PII, MexicoCancun.net will prominently post such changes prior to implementing the change. Regardless of later updates, we will abide by the information privacy practices described in this Privacy Statement at the time you provided us with your information. If you have questions about our Privacy Statement, please e-mail us. We want to make sure you have control over your online travel experience as a MexicoCancun.net customer, from planning and purchasing your travel to protecting your personal information. MexicoCancun.net customer service travel agents are ready to help with your MexicoCancun.net travel concerns. When you need help, use our support and feedback form. All e-mail receives a response within 12 hours. Agents will address any questions or concerns you may have about your MexicoCancun.net travel planning or purchases. This Web site is offered to you, the customer, conditioned on your acceptance without modification of the terms, conditions, and notices contained herein. Your use of this Web site constitutes your agreement to all such terms, conditions, and notices. (iv) deep-link to any portion of this Web site (including, without limitation, the purchase path for any travel services) for any purpose without express written permission of Proinco Vacations. All contents of this Web site are: ©2003 Proinco Vacations. All rights reserved. Proinco.net, Proinco Vacations logos are either registered trademarks or trademarks of Proinco Vacations. Other product and company names mentioned herein may be the trademarks of their respective owners. THE INFORMATION, SOFTWARE, PRODUCTS, AND SERVICES PUBLISHED ON THIS WEB SITE MAY INCLUDE INACCURACIES OR TYPOGRAPHICAL ERRORS. CHANGES ARE PERIODICALLY ADDED TO THE INFORMATION HEREIN. Proinco Vacations, ITS AFFILIATES, AND/OR THEIR RESPECTIVE SUPPLIERS MAY MAKE IMPROVEMENTS AND/OR CHANGES ON THIS WEB SITE AT ANY TIME. Proinco Vacations, ITS AFFILIATES, AND/OR THEIR RESPECTIVE SUPPLIERS MAKE NO REPRESENTATIONS ABOUT THE SUITABILITY OF THE INFORMATION, SOFTWARE, PRODUCTS, AND SERVICES CONTAINED ON THIS WEB SITE FOR ANY PURPOSE, AND THE INCLUSION OR OFFERING FOR SALE OF ANY PRODUCTS OR SERVICES ON THIS WEB SITE DOES NOT CONSTITUTE ANY ENDORSEMENT OR RECOMMENDATION OF SUCH PRODUCTS OR SERVICES BY PROINCO VACATIONS OR ITS AFFILIATES. ALL SUCH INFORMATION, SOFTWARE, PRODUCTS, AND SERVICES ARE PROVIDED "AS IS" WITHOUT WARRANTY OF ANY KIND. PROINCO VACATIONS, ITS AFFILIATES, AND/OR THEIR RESPECTIVE SUPPLIERS HEREBY DISCLAIM ALL WARRANTIES AND CONDITIONS WITH REGARD TO THIS INFORMATION, SOFTWARE, PRODUCTS, AND SERVICES, INCLUDING ALL IMPLIED WARRANTIES AND CONDITIONS OF MERCHANTABILITY AND FITNESS FOR A PARTICULAR PURPOSE, TITLE, AND NONINFRINGEMENT. THE CARRIERS, HOTELS AND OTHER SUPPLIERS PROVIDING TRAVEL OR OTHER SERVICES FOR PROINCO VACATIONS ARE INDEPENDENT CONTRACTORS AND NOT AGENTS OR EMPLOYEES OF PROINCO VACATIONS OR ITS AFFILIATES. PROINCO VACATIONS AND ITS AFFILIATES ARE NOT LIABLE FOR THE ACTS, ERRORS, OMISSIONS, MISREPRESENTATIONS, WARRANTIES, BREACHES OR NEGLIGENCE OF ANY SUCH SUPPLIERS OR FOR ANY PERSONAL INJURIEIS, DEATH, PROPERTY DAMAGE, OR OTHER DAMAGES OR EXPENSES RESULTING THEREFROM. PROINCO VACATIONS AND ITS AFFILIATES HAVE NO LIABILITY AND WILL MAKE NO REFUND IN THE EVENT OF ANY DELAY, CANCELLATION, OVERBOOKING, STRIKE, FORCE MAJEURE OR OTHER CAUSES BEYOND THEIR DIRECT CONTROL, AND THEY HAVE NO RESPONSIBILITY FOR ANY ADDITIONAL EXPENSE, OMISSIONS, DELAYS, RE-ROUTING OR ACTS OF ANY GOVERNMENT OR AUTHORITY. IN NO EVENT SHALL PROINCO VACATIONS, ITS AFFILIATES, AND/OR THEIR RESPECTIVE SUPPLIERS BE LIABLE FOR ANY DIRECT, INDIRECT, PUNITIVE, INCIDENTAL, SPECIAL, OR CONSEQUENTIAL DAMAGES ARISING OUT OF, OR IN ANY WAY CONNECTED WITH, THE USE OF THIS WEB SITE OR WITH THE DELAY OR INABILITY TO USE THIS WEB SITE, OR FOR ANY INFORMATION, SOFTWARE, PRODUCTS, AND SERVICES OBTAINED THROUGH THIS WEB SITE, OR OTHERWISE ARISING OUT OF THE USE OF THIS WEB SITE, WHETHER BASED ON CONTRACT, TORT, STRICT LIABILITY, OR OTHERWISE, EVEN IF PROINCO VACATIONS, ITS AFFILIATES, AND/OR THEIR RESPECTIVE SUPPLIERS HAVE BEEN ADVISED OF THE POSSIBILITY OF DAMAGES. BECAUSE SOME STATES/JURISDICTIONS DO NOT ALLOW THE EXCLUSION OR LIMITATION OF LIABILITY FOR CONSEQUENTIAL OR INCIDENTAL DAMAGES, THE ABOVE LIMITATION MAY NOT APPLY TO YOU. (ii) by third parties as a result of (a) your breach of these Web Site Terms, Conditions and Notices or the documents referenced herein; (b) your violation of any law or the rights of a third party; or (c) your use of this Web site. This Web site may contain hyperlinks to Websites operated by parties other than Proinco Vacations. Such hyperlinks are provided for your reference only. Proinco Vacations does not control such Websites and is not responsible for their contents. Proinco Vacations's inclusion of hyperlinks to such Websites does not imply any endorsement of the material on such Web sites or any association with their operators. uerto Vallarta Vacations reserves the right to change the terms, conditions, and notices under which this Web site is offered and you agree to accept and be bound by those terms, conditions, and notices that are in effect at the time of your use of Expedia’s facilities. This agreement is governed by the laws of the UNITED STATES OF MEXICO. You hereby consent to the exclusive jurisdiction and venue of courts in Guadalajara, Jalisco, Mexico, in all disputes arising out of or relating to the use of this Web site. Use of this Web site is unauthorized in any jurisdiction that does not give effect to all provisions of these terms and conditions, including, without limitation, this paragraph. You agree that no joint venture, partnership, employment, or agency relationship exists between you and Proinco Vacations as a result of this agreement or use of this Web site. Proinco Vacations's performance of this agreement is subject to existing laws and legal process, and nothing contained in this agreement is in derogation of Proinco Vacations's right to comply with law enforcement requests or requirements relating to your use of this Web site or information provided to or gathered by Proinco Vacations with respect to such use. This agreement (and any other terms and conditions referenced herein) constitutes the entire agreement between the customer and Proinco Vacations with respect to this Web site and it supersedes all prior or contemporaneous communications and proposals, whether electronic, oral, or written, between the customer and Proinco Vacations with respect to this Web site. A printed version of this agreement and of any notice given in electronic form shall be admissible in judicial or administrative proceedings based upon or relating to this agreement to the same extent and subject to the same conditions as other business documents and records originally generated and maintained in printed form. Currency rates are based on various publicly available sources and should be used as guidelines only. Rates are not verified as accurate, and actual rates may vary. Currency quotes are not updated every day. Check the date on the Currency Converter for the day that currency was last updated. The information supplied by this application is believed to be accurate, but Proinco Vacations, its affiliates, and/or their suppliers do not warrant or guarantee such accuracy. When using this information for any financial purpose, Proinco Vacations advises the customer to consult a qualified professional to verify the accuracy of the currency rates. Proinco Vacations, its affiliates, and/or their suppliers do not authorize the use of this information for any purpose other than personal use and prohibit to the maximum extent allowable the resale, redistribution, and use of this information for commercial purposes. MexicoCancun.net is where you can plan and book your whole vacation. Choose from a large and growing selection of Hotels and Resorts with an English speaking local company. Obtain information on Cancun directly from Cancun. Contact [email protected] for more information regarding traffic, banners, links, exchanges and pricing.